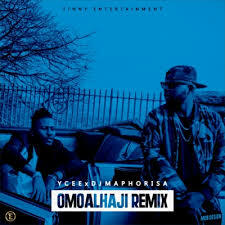 Nigerian music star YCee teams up with South Africa’s DJ Maphorisa on the remix to his hit song ‘Omo Alhaji’. Shot in Johannesburg, by La Dupont productions, the faster paced remix features Ycee with an energetic flow that commands attention. DJ Maphorisa fuses his unique Southern sound into a rhythm that seamlessly blends with Ycee’s style delivering a sure club, street and radio banger.